To say that our household is busy and hectic would be an understatement. On weekday mornings when the children are taking an extra few minutes to get out of bed and a little longer than usual to brush their teeth and get dressed, the amount of time left to eat breakfast has been cut short drastically. You would be amazed at how long it takes our children to eat a bowl of cereal, even if it is cereal they picked out for themselves. Cereal bars have saved us on mornings like this, but the children grow tired of them easily and I had often wished there was another option. For this reason, I was so happy to be introduced to belVita Breakfast Biscuits by Nabisco. belVita Breakfast Biscuits are currently available in three varieties . . . Golden Oat, Blueberry, and Apple Cinnamon. My first thought was that they looked too healthy and my children might not eat them, but I could not be more wrong. 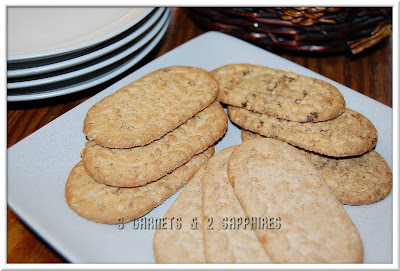 To my children, they looked like cookies and all three children could not wait to try them. The general consensus among the children was that Apple Cinnamon was the favorite. 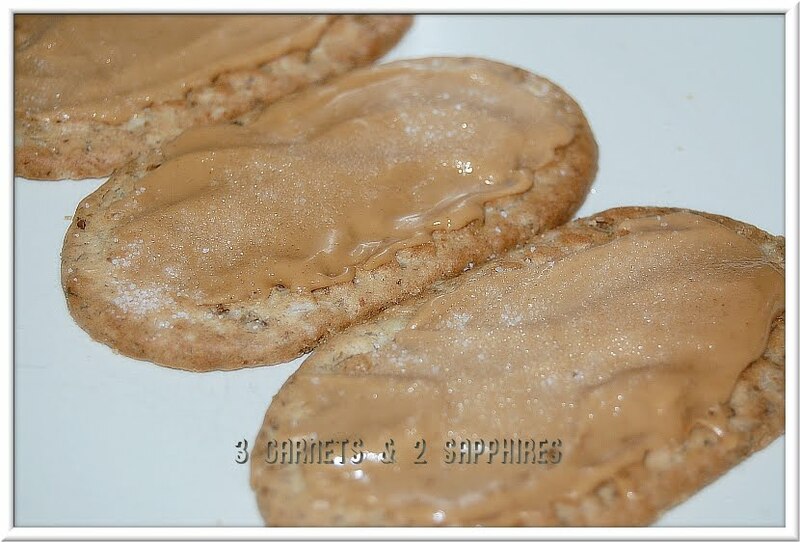 My personal favorite was the Blueberry to eat plain, but the Golden Oat was delicious topped with peanut butter and a sprinkle of sugar heated briefly in the microwave. You would not believe a good this quick little breakfast smelled and tasted. Aside from being a good source of fiber and B vitamins, what surprised me the most about these little biscuits is how filling they were. My husband could not finish a single pack of 4 biscuits by himself. I, who can eat a large breakfast, found myself to feel quite full after eating 4 biscuits. I also expected to feel hungry again in an hour or so, but I actually did not start to feel hungry again until close to lunchtime. Since their entering stores in February of this year, I have spotted belVita Breakfast Biscuits at both our local Stop & Shop and at Target. One box of 5 packs (each containing 4 biscuits) retails for about $3.69. I am hoping to see them in larger quantities at one of these stores or at BJ's Wholesale Club someday because my family of 5 consumes them very quickly. 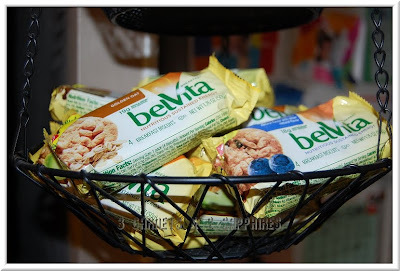 I definitely need to keep belVita Breakfast Biscuits on hand, so that our children can have a quick satisfying breakfast on the mornings the alarm clock fails to go off. I know I have had to grab a pack to take with me in the car on the mornings I had too much to do before leaving the house. 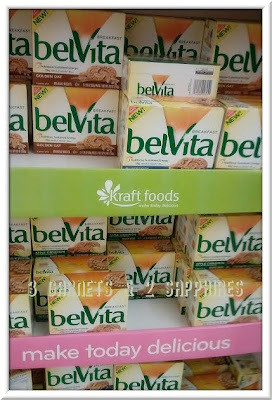 To learn more about how to "power up" with belVita Biscuits, visit www.belvitabreakfast.com and belVita on Facebook. 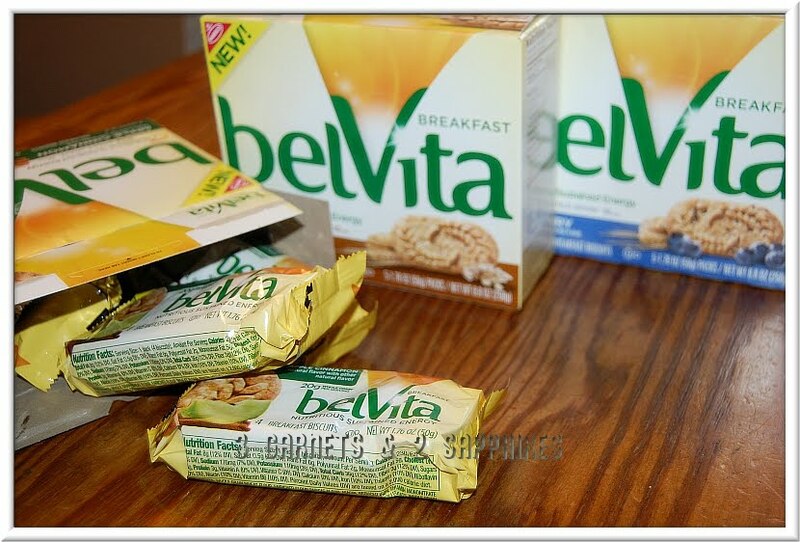 I wrote this review while participating in a blog tour campaign by Mom Central Consulting on behalf of belVita Breakfast Biscuits and received belVita Breakfast product samples to facilitate my review, and a promotional item to thank me for participating. All opinions expressed are my own.